You may sometimes have wondered who Saint George was, and how long he has been the patron saint of Catalonia, or where the tradition of giving books and roses came from. And why his feast day is 23rd April. What do we know about any of this? Saint George was a Roman soldier, born in Palestine in the late third century AD, who converted to Christianity and was one of the martyrs of the Emperor Diocletian’s persecutions of the Christians. According to the legend, as the officer of a Roman legion he had to free a city from a dragon that the inhabitants had to feed every day. To begin with they gave it two sheep each day, but when there were no more sheep left, they gave it two young maidens from the city, chosen by drawing lots. One day misfortune befell the princess, but she was saved from the dragon by the Roman soldier, who killed it with his spear. The Golden Legend, a collection of saints’ lives from around 1260, tells us that the saint did not kill the dragon and that from that time onwards the princess kept the dragon on a lead, as if it were a dog. This legend, like so many others, is based on the Greek myth of Perseus and Andromeda. The Greek hero, in turn, is a variation of the Egyptian god Horus, who ran a crocodile through with a spear. Saint George would be the Christian version of the god that triumphs over evil, and some interpretations even identify the princess with the Christian Church saved from the jaws of paganism. The cult of Saint George came from the East, passed to Constantinople, and by the eleventh century he was being venerated in the West. Gradually, and associated with the Crusades, Saint George acquired the typical virtues of the chivalrous ideal. 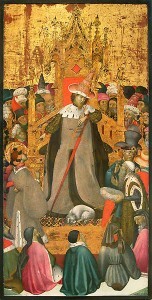 He is therefore depicted as a beardless young man, on foot or riding a white horse, dressed in a knight’s armour and armed with spear, sword and shield, holding aloft a flag with a red cross on a silver field. At his feet lies the dragon. 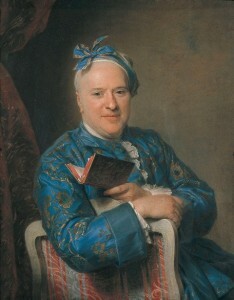 On other occasions, and also according to the Golden Legend, representations are added of the different episodes of his martyrdom, not as widely known as the legend. 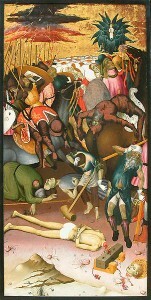 One of the most beautiful works of Catalan Gothic dedicated to Saint George, displayed almost complete at the Museu Nacional in the exhibition Catalonia 1400. The International Gothic style, is the altarpiece by Bernat Martorell, shared between the Art Institute of Chicago and the Musée du Louvre. Bernat Martorell apparently did this altarpiece for the Diputació del General, now the Palau de la Generalitat. It is one of the artist’s most famous works: the central panel shows the saint’s legend and on the other panels we see his martyrdom. Although Saint George has officially been the patron saint of Catalonia since 1456, this altarpiece, a few decades older, shows us that the deputies of the General (Generalitat de Catalunya) had already chosen him as their patron saint a few years before that date. 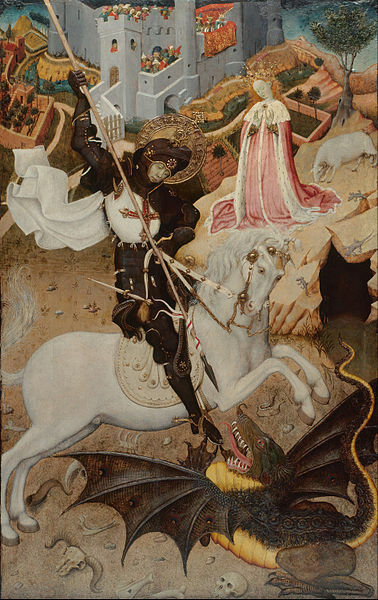 In our new Pinterest board you can see other depictions of Saint George in the museum’s collection. Over the years, Saint George’s Day has become a traditional festival in which the streets of Catalonia are filled with roses and books. And why do we give a rose with an ear of wheat to the one we love, and not another flower? This custom, which dates from the fifteenth century, symbolizes the fact that, according to popular legend, from the blood shed by the dragon a rosebush grew that flowered every April. 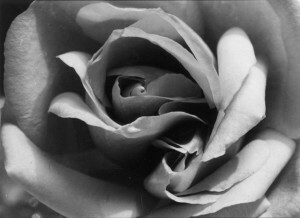 At the same time, the rose is the symbol of love; a single rose means that the love is unique, personal, and the ear of wheat symbolizes fertility. 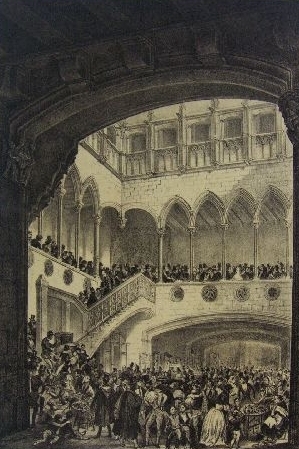 In the fifteenth century a rose fair was held in the Palau de la Generalitat to mark Saint George’s feast day, a fair that could be the origin of this enduring tradition. Since the 1930s, the custom of giving a book as a gift has been added to this tradition. It was proposed by Vicent Clavel Andrés, a publisher and writer from Valencia living in Barcelona, to commemorate the death of Miguel de Cervantes, on 23rd April 1547. In 1995, UNESCO declared 23rd April, the date of the death of William Shakespeare, World Book Day. Among the many initiatives associated with the world of books, the museum’s Library participates in Bookcrossing: we hide some books in different parts of the museum so that the visitors can take them, and once they have read them they “liberate” them again for other readers. If you want to see how the book has evolved in art since the Romanesque period, when it was the container of the sacred scriptures, the Renaissance and the Baroque period, when the book became a symbol of social status, to reading as a source of pleasure in modern times, you may like this itinerary based on a work by writer Narcís Comadira, or to view some of the books that appear in artworks of our collection.